Alan was initially trained by Dr. Theo Cherbuliez and Dr. Amber Rose to administer his own treatment plan. 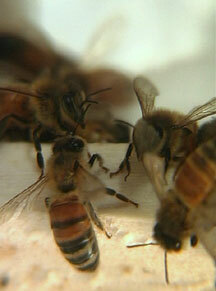 Over several years, he has applied bee stings to various areas of his body, which gradually eliminated pain. The success Alan achieved in treating his tendinitis, bursitis, herniated discs, and rheumatoid arthritis encouraged him to help others with the affordable healthcare treatment of BVT.